Is your house in need of a fresh coat of paint? Have you been thinking about sprucing up that living room like you always wanted? Trevor’s paint department offers all of your paint and sundry needs for any project. Looking to go green? Don’t need paint, but it’s time to stain the deck or refurbish that old desk? Come on down and let us guide you to the right products for the job. We offer Color Matching Technology so you can get that perfect shade to match the new bedding or the kitchen curtains. Bring it down with you and we will make it right. Trevor’s local experts help prepare you for each step of the painting process. 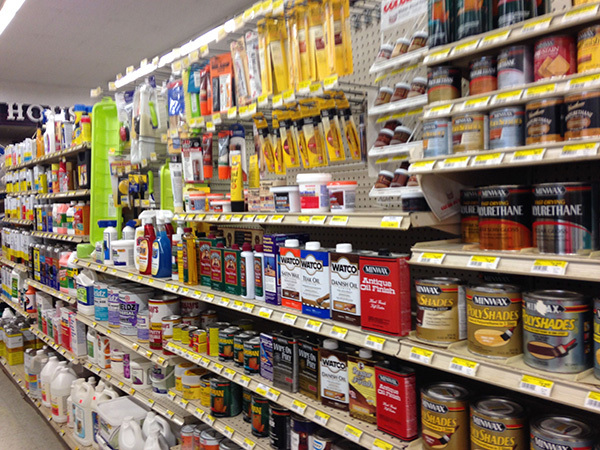 We carry top brands, like Kliz, Rust-Oleum and Purdy. 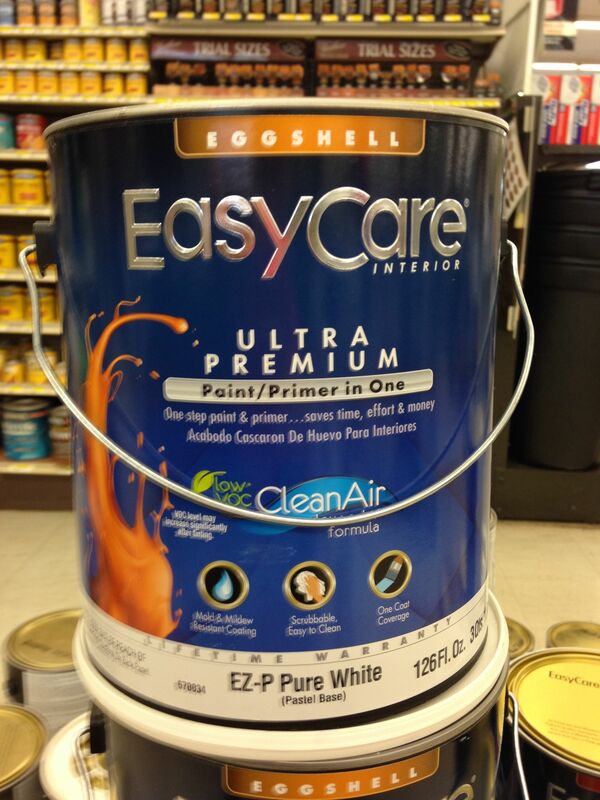 Select a color from exclusive True Value EasyCare and WeatherAll paint. Latex and oil deck stain and supplies are available. Find the exact spray paint needed for your project within our 20 foot aisle of options.